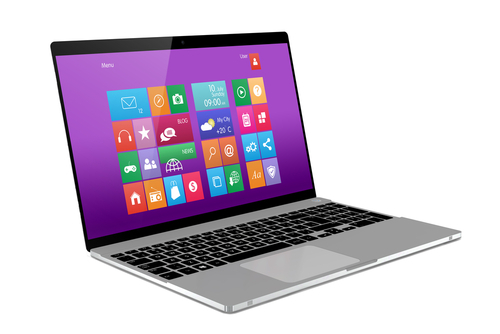 Microsoft released an update to Windows 8 about a year after the operating system first hit the market in October of 2012. A preview of that update has been available since June and many users have stuck with the beta version rather than updating fully. Microsoft is now warning that the beta version will expire in January, so users need to update before then. The problem is that users without Windows 8 on their machines will have to pay for the upgrade to 8.1. As Juan Carlos Perez writes for PC World, even more troubling are reports that Windows 8.1 causes issues with the SkyDrive cloud storage service. Since installing the update, users have reported persistent error messages, slow performance, lost and corrupted files, sync problems and an inability to upload new files. All of these problems make cloud storage ineffective and un-usable. A Microsoft spokesmen stated publicly that the company is aware of the problem some users are experiencing and are working with each of them individually to resolve it. However, of the more than 100 threads started about the SkyDrive issues on Microsoft’s Community forum, few have been given attention and a satisfying answer from moderators. The official company stance is that Windows 8.1 and SkyDrive work together fine for most users. This opinion suggests that no patch is forthcoming from Microsoft that would fix the problem. That’s led many users to abandon SkyDrive for competing cloud storage services. That defeats the purpose of SkyDrive, since it was included in Windows for a seamless, hassle-free back-up and storage option. This isn’t the first problem reported related to the update to Windows 8.1. In the weeks following its release, multiple bugs were found, including some users being unable to boot up there machines at all. For those who have yet to update, it would be a good idea to back-up anything you have on SkyDrive with another cloud service. That way, if your system has issues, your files will be safe. If your computer is having issues after a recent update, or for any other reason, bring it to Geek Rescue or give us a call at 918-369-4335. For business and even personal use, the cloud is earning the trust of more and more users. But, privacy and security remain major concerns. Victoria Ivey of CIO published a list of ways to maintain better security with the cloud, which mostly involve more diligence from users. There are a seemingly endless number of options for how to use the cloud, but it’s not for everything. When it comes to storing data, your most valued, vital, important files should probably stay away. Cloud storage isn’t particularly insecure, but it doesn’t provide enough security for the data you absolutely cannot afford to lose. Perhaps the most disregarded document in history is the user agreement. 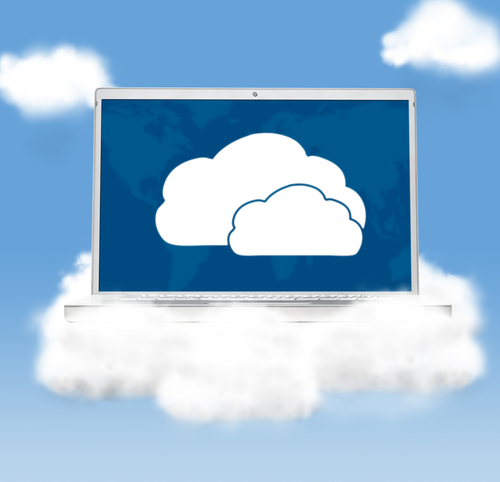 For cloud storage solutions, however, it’s necessary to wade through them. They contain important information about what your cloud provider offers and what level of protection you’re afforded. If you’d rather not read it, take some time to talk to your provider in-depth about the services. Knowing the details of your cloud service will help you use it better. Passwords are a respectable security tool when used correctly. Unfortunately, most users insist on using a password they can easily remember and use no other considerations. This makes a password easily hackable. This doesn’t only apply to the cloud, but strong passwords are a must for every online account. For added cloud security, use encryption on all data stored there. This way, if a third party does gain access to your cloud storage, there will be another layer of security in place to keep them from stealing data. There are a number of ways to encrypt files and some cloud providers will include encryption with your service. There have been cases where cloud providers have decrypted users’ data, however and allowed access to other parties. So, be cautious when choosing a provider and don’t blindly trust encryption services unless you’re the only one holding the key. 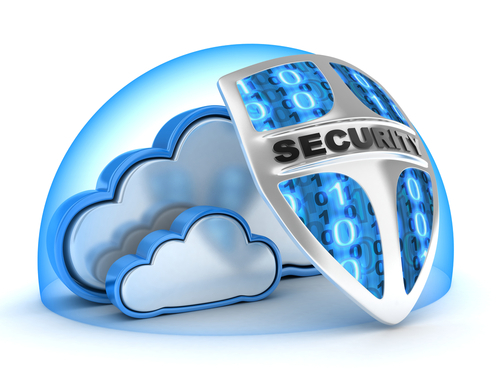 These are some basic, general tips for improved security with cloud computing. Research your provider and the services you’re signing up for and make sure you understand how the cloud works and how to best use it. To find out what the cloud can do for you, call Geek Rescue at 918-369-4335. We offer a variety of cloud services and help you understand how the cloud is best utilized by your business. 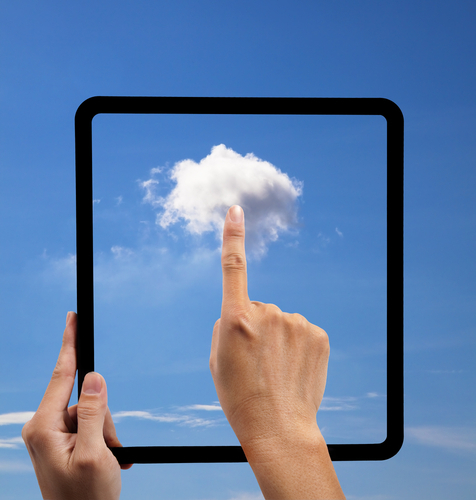 Cloud computing is rapidly growing in popularity. It’s easy to see why. The cloud allows businesses to have a scalable IT infrastructure with files and applications available from virtually anywhere. As Zuahair Siddiqui writes for Techopedia, however, there are a number of myths that have cast doubt over the cloud’s effectiveness. Here’s a list of some of those myths dispelled. Security is naturally a concern for cloud users given that their sensitive data is accessible remotely. For public cloud services, like Dropbox or Google Drive, security has been an issue in the past. There have been multiple cases of data being stolen from public clouds, which is why many security experts advise against storing your most important data there. Private clouds managed by a third party provider are much more secure, however. While complete safety is unattainable, a private cloud will often offer more security than even on-site data storage can. Cloud services are certainly not one size fits all. There are seemingly limitless options of ways to customize your cloud services to fit your needs. Choose from a public, private or hybrid cloud. Then choose operating modules like Platform as a Service, Software as a Service and Infrastructure as a Service. None of these are dependent on each other, so you choose only what you need in any combination. Many public cloud services offer a pay as you use model, which can seem like a money saver. It can be for short-term needs, but for applications that are vital to your organization and consume a large amount of resources, a private cloud with a monthly fee is a better choice. When it comes to budgeting for cloud computing, be sure to choose the most efficient cloud model on a project to project basis. One of the selling points of cloud services is that they increase productivity. This is because they make collaboration easier between multiple employees and offer access from virtually anywhere. Processes that previously took a long amount of time are much faster when operating through the cloud. Cloud computing affords IT options that were never available before. It also allows smaller businesses the opportunity to use similar resources as larger competitors. To explore all of the ways cloud computing helps your business, contact Geek Rescue at 918-369-4335. Cloud computing has been hailed as a great innovation that changes the way we do business. It’s not without its flaws, however. There have been a number of well-publicized exploits of public cloud systems over the past few months. Tom Scearce, of Data in Motion, suggests that, while storing some files in the cloud is a great idea, there are a few types of files that aren’t worth the risk. Many businesses store tax records or bank account information in the cloud because it’s always accessible, but doesn’t take up storage space on a physical drive or server. What happens, though, when a hacker is able to access the cloud? Suddenly, your most critical documents are available to a third party. Despite the supposed advantages, storing this type of information on a public cloud is ill-advised. Security experts advise you to create a strong, unique password for each of your online accounts. That adds up to more passwords than most can remember. Storing your password on the cloud seems like a great solution, but once again, the lack of security could give a criminal access to all of your accounts. Even LastPass, which is hailed as the industry standard password manager, has experienced exploits. Your human resources department has collected social security numbers, tax and financial information from your employees. You’ve also collected credit card numbers from customers. Where should you store all of this information? If you decide to keep it on a public cloud, you’re asking for trouble. While losing control of this data might not directly impact your business, there are liability and credibility issues at stake. The other concern, besides security, with the cloud is availability. One of its advantages is the ability to access and share files from anywhere with an internet connection. There are outages and downtime, however. If there’s a file you absolutely have to have at a certain time, it’s best to keep it off the cloud. There are other options available for these and other types of files that aren’t a good fit for cloud storage. Rather than using public cloud services like Dropbox and Google Drive, consider investing in a private cloud. Not only will that improve security, but you’ll also be able to directly contact your hosting company if there’s any downtime. Geek Rescue offers a variety of cloud based solutions. Call us to find out how cloud computing can help you do business better. 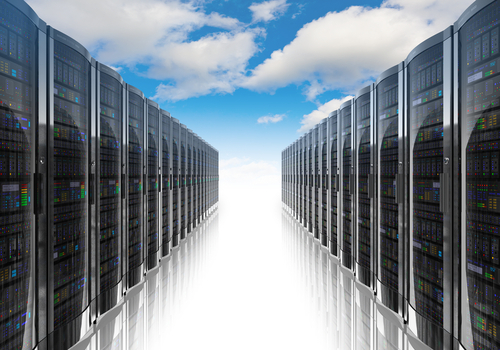 Cloud computing is vital to business for storage, security, disaster recovery and continuity. As many as 90-percent of companies have adopted some sort of cloud service and many of those use multiple cloud models. David Deans, of Business Technology Roundtable, explains how the reliance on cloud computing is changing e-commerce business. This change comes with inherent challenges. This refers to IT and the rest of your business not being connected. Your business may have needs that IT doesn’t yet know about and those needs may be addressed by adopting a new cloud technology before consulting with IT. This results in security concerns, redundancies and incompatibility. With cloud computing, communication across all departments is more vital than ever. Shockingly, a number of businesses fail to adequately track the cost of their IT usage. Usage costs, training of staff members and upgrades to networks all contribute to a price tag that ends up much higher than expected. When implementing any new technology into your business, cloud systems included, it’s important to budget and track costs closely. A cloud system allows your business to run differently than it ever has before, but sometimes old habits die hard. Many professionals report that altering existing policies is an even greater challenge than integrating the new technology. There are a number of benefits to adding cloud computing to your IT infrastructure, but as with any change to your business, there are challenges as well. For help integrating a cloud into your business, contact Geek Rescue at 918-369-4335.